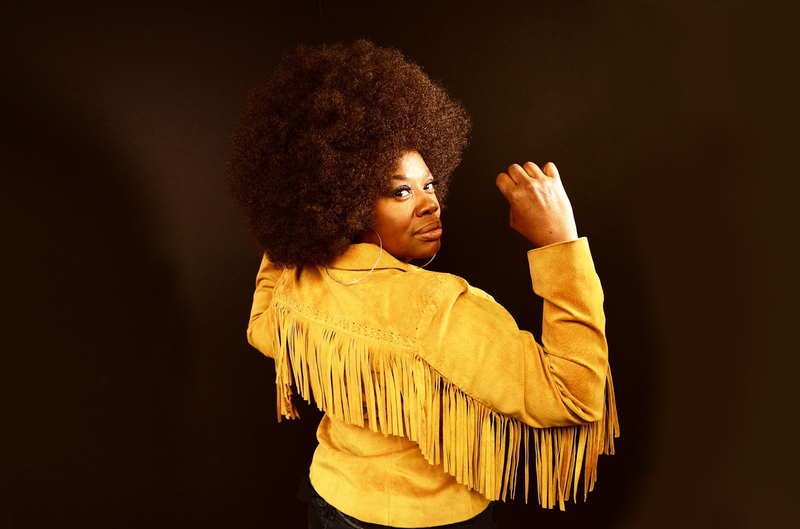 ‘Jetlagger’ is the incredible debut album from Brooklyn soul singer Bette Smith, released February 2nd, 2018 on Big Legal Mess, a subsidiary of Fat Possum. In support of the release, Smith will embark on a headline European tour, including London’s Borderline on February 27. ‘Jetlagger’ was recorded at Water Valley’s Dial Back Sound in Mississippi with producer Jimbo Mathus. Mathus has become a secret weapon for Fat Possum and Big Legal Mess Records; in addition to being a solo artist and a founding member of the Squirrel Nut Zippers, Mathus has also produced Shinyribs, Luther Dickinson, The Seratones, and played on records by Valerie June, Buddy Guy, and Elvis Costello. Mathus dug deep into the Mississippi and Memphis soul bags, unearthing ‘Flying Sweet Angel of Joy’ by Famous L. Renfroe, a song with which Smith particularly connected. “I believe in guardian angels. Jimbo picked up on that. I feel that I was giving voice for Famous L. because he never really got a chance.” Mathus also picked Isaac Hayes’ ‘Do Your Thing,’ which simmers with Memphis heat. The raucous soul-rock of ‘Man Child,’ the spare funk of ‘Shackles & Chains,’ and Blaxsploitation soundtrack feel of ‘Durty Hustlin’ were all written or co-written by Mathus specifically for Smith. She gets rough, wrestling the title track to the ground; the song captures the late nights and lack of sleep inherent in a musician’s life. First-call Memphis horn players Marc Franklin (Robert Cray, Lucero) and Kirk Smothers (Don Bryant, Melissa Etheridge, Cyndi Lauper, Buddy Guy) were summoned to complete the album’s sound. The release of ‘Jetlagger’ fufills a promise to her late brother, Junior. Several years ago, on his deathbed suffering from kidney failure, he made her promise not to give up on a career as a singer. Those last days of his, she sang while he tapped his foot on the hospital bed at Kings County Hospital. “I didn’t know how else to comfort him,” she recalls. He told her, “I want you to sing; don’t give up” and she’s kept that promise, playing gigs from One Penn Plaza in New York to the Boogie Woogie Festival in Brussels, Belgium, always wearing yellow on stage to honour him. “It’s all for Junior now,” she says.